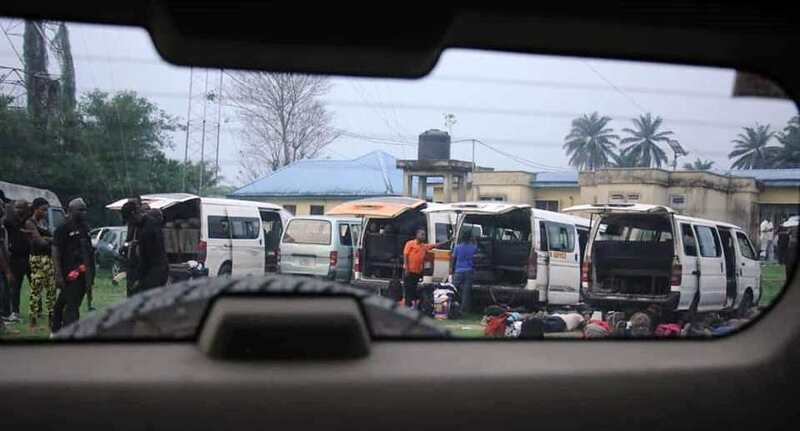 It has been hectic for security agencies in Akwa Ibom State in the last 24 hours. 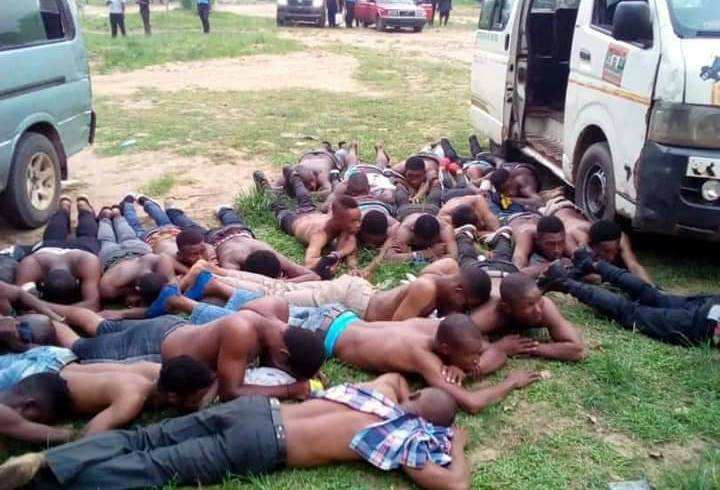 Security cases have taken an upward spiral in what seems like an aftermath of the Presidential visit to thank and stir up the supporters of APC in Akwa Ibom State on Monday, the 4th of March 2019. During the event, a disturbing pattern of rhetoric was noticed when Comrade Adams Oshiomole and others who spoke at the event stated that the mandate of APC, who he equated to a Lion, was stolen in Akwa Ibom State and that came what may it will be recovered during the 2019 Governorship election. In a twist of reality, he also declared Senator Godswill Akpabio as the winner of the just concluded 2019 Senatorial election. At the event, President Buhari was represented by Vice President Yemi Osinbajo (SAN) and he also spoke along a similar line. Hours after the Presidential visit of Monday, men of the Nigeria Police have intercepted several buses coming into Akwa Ibom State from Edo State at the border town of Obot Akara Local Government Area. Those buses were said to be ferrying thugs into Akwa Ibom State from Edo State and where said to have been sent by the National Chairman of the APC, Adams Oshiomole. Since the conclusion of Presidential and National Assembly elections and the subsequent announcement of the results, Senator Godswill Akpabio and the APC have been falling over themselves to concoct fairy tales to explain how and why they failed and like a bad Workman, the tool is to blame. For them every other person and institution deserve the blame, except them. Their blame pendulum swings from the PDP, to the Resident Electoral Commissioner , to the electorate etc. It is trite that the worst form of deceit is self deceit, but for APC and Senator Akpabio, deceit of any kind is the modus operandi. The highest display of self deceit was the circus created for the Vice President to perform yesterday at Uyo. Unknown to the VP that his hosts, especially Senator Akpabio, are aspirants to the hall of fame of political comedy, he appeared on the stage and was cued to perform. He vomited exactly what he had been fed with. He exclaimed that their mandate had been stolen and that it will be reclaimed. While his immediate audience applauded him, the external audience was deeply disappointed at such illogical outburst from a person who ordinarily should be learned. For the records, Akwa Ibom people know who the mandate thieves are, they are those who refused to go on consultation and grassroots campaign but held rallies in towns and instead of telling the people what their plans were, proclaimed themselves god and touted their invincibility. They took the electorates for granted, preferring to deal with the big names only. On the day of election, those who brought policemen and army personnel to aid in electoral malpractice are the real thieves. After the election, during collation the real thieves are the people who went to Oruk Anam INEC office, Ikot Ekpene INEC office and Essien Udim INEC office. Those who invited the GOC and other Army to help in their attempt to thwart the announcement of Senatorial results for Ikot Ekpene Senatorial District results, are the thieves. Those who sought to bribe INEC staff with foreign currency are the real thieves. Even as we are preparing for the forth coming elections, the APC have sought for help from Edo state, using Adams Oshiomhole as the liaison, to recruit armed political thugs ferried in 53 buses enroute , led by Tony kabaka and osakpamwan, alias ‘no molest’. They have also mobilized touts to start peaceful protests that will snowball in violent unrest in uyo, the state capital. They have also purchased and sneaked in weapons of different dimensions. That is their preoccupation instead of reaching out to the electorate. For them election preparation is synonymous with war readiness and nothing more pretentious. We are calling on the general public, the international community and security agencies to discountenance the baseless cry of VP Osinbajo, Senator Akpabio and the entire APC family, they are all living in fool’s paradise and completely unconnected with reality. Some trust in horses and chariots, but our trust is in the Lord.